I'm giving a little talk to our local "Homeschool Mom's Prayer Group" on Monday on "Free (& Inexpensive) Resources on the Internet" and I thought I would share all of my hard work here as well! 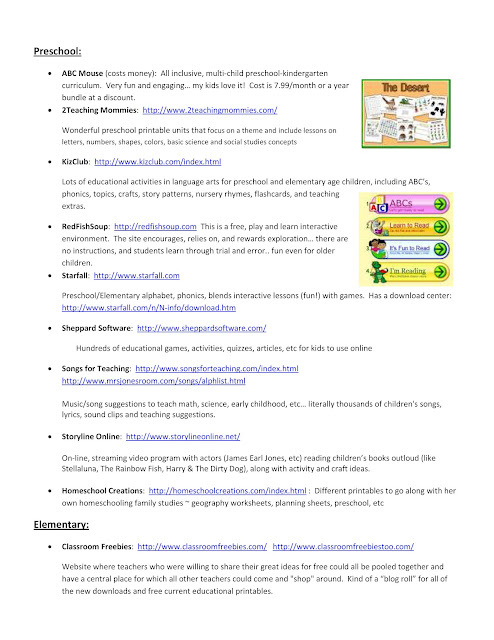 This is by no means an exhaustive list.... rather, it is a collection of links and sites that I use for my own family when putting together curriculum, looking for educational games, or getting ready to make a worksheet. I hope it is useful to you and yours as well!